Here's we found this one British classic roadster that was made by Sunbeam, is a late of second generation Alpine Series well-known as Alpine V as shown here is 1967 model fairly nice 2-door convertible with hardtop, it carry a 1725cc straight four engine which is the largest engine options of the Alpine V range and only 44000 miles on it. Overall is good condition and has been well cared for with some minus, but is greats all within reasonable shape considering its age. The car has been posted in Craigslist about 5 days ago looking for $8750 located in Jackson. That could be a perfect start to restored. Here's found this one ultra rare classic sport car was coming from Benito Mussolini country yes that's was Italy, as we've seen here is the Iso Rivolta IR 300 1967 model year clothed in a fairly handsome 2-door coupe body. Although originally was designed to compete with the elegant Fiat 2300 Coupe but it's more luxurious and have a lot advantages in powerful engine and has high quality of construction and materials then wrapped on elegant style as well, the Rivolta are not so strong to raise his sales in its era or arguably are not success on sales, very low sales volumes. The Rivolta was built by Bertone for Iso Auto Motoveicoli S.p.A. and powered by American muscle, the Chevrolet 5.4 L V8 engine, that's a same engine are use on the Corvette and mated with four-speed automatic transmission. Due its quality and rarity today the Rivolta can be raise his value, this could be great investment for the higher market rate of course especially for classic cars collectors. 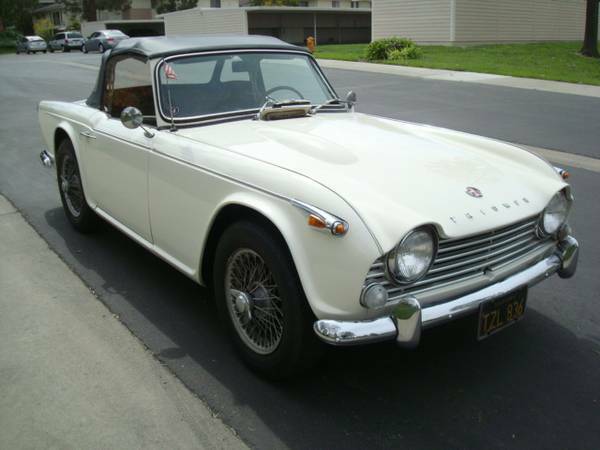 Here's we found a British classic roadster made by the Triumph Motor Company, it's a 2-seat sports car, fourth generation of the TR families also known as the Triumph TR4 and these an evolution version called the TR4A released in 1967, had many updated including a new chassis featuring independent rear suspension for more comfortable. A really nice classic car, claims is excellent condition, has 38K miles, frame is solid no rust or dent only for serious buyers. The car already offered in Craigslist about 20 days ago, asking for $25000, location in Newport Beach, California. As we've seen here it could be an immaculate sample of the Triumph TR4 as its ages and condition, really perfect shape, interior and exterior looks awesome, hard to seen imperfections here. 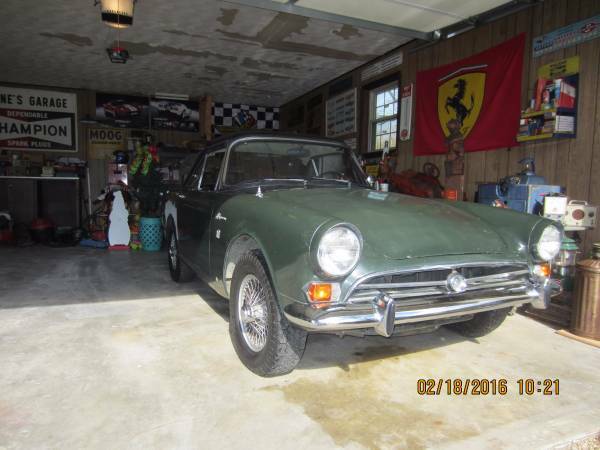 Not mentioned about restoration or rebuilt, uncleared engine photo, so you should ask directly to owner if seriously. Overall is really fun to kept it, especially like this condition. Here's an immaculate American classic 4x4 SUV was ever made by International Harvester. 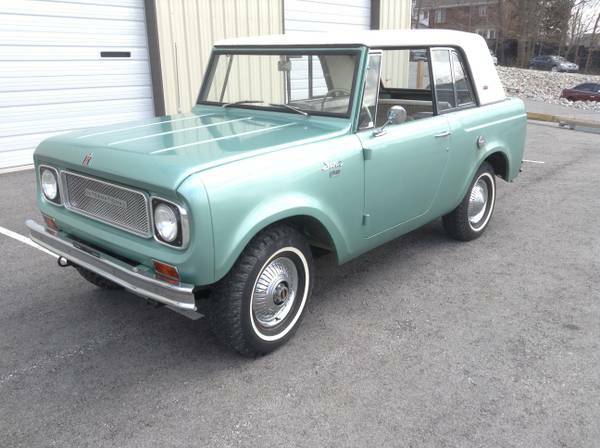 It's a 1967 International Scout Sportop model like new only has 36000 miles on it, just offered in Craigslist today asking for $19000 location in Louisville, Kentucky. As you see here it a perfect International Scout has the very unusual ‘Sportop’ package which came with a cool removable hardtop with sloped rear window. The seller says is an original classic car runs and drives very well, looks terrific from the outside and inside, the engine looks healthy like a new car. Seems rarely used looks like always stored with properly course, still look great as a collection item. Fairly rare offers International Scout Sportop survivor come with good price today, you should come to see personal for actual condition. More info and details please read below. Overall is a cool looking Scout with unique form and we really love it. 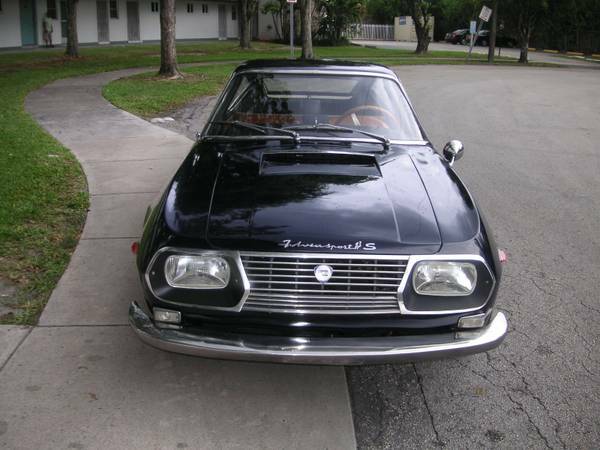 This Lancia Fulvia Zagato is the Italian classic sport car produced by Lancia, it's a Series I high performance variant of the Fulvia commonly known as the Fulvia Sport and these a 1.3S model was released in 1967, designed and built by Zagato come with 2-seater in 2-door fastback body type. According original factory specs it has 1,298 cc V4 gas engine with manual transmission producing 92 hp (69 kW) at 6,000 rpm. Fulvias are notable for their role in motorsport history, including winning various International Rally Championship in Europe and very famous as an precision motorcar in its era. It's a rare car in US ready to go for $45000. 1967 Lancia Fulvia Zagato Sport 1.3S Series I in perfect condition, little doubt rims is not original for its model, hope I was wrong. 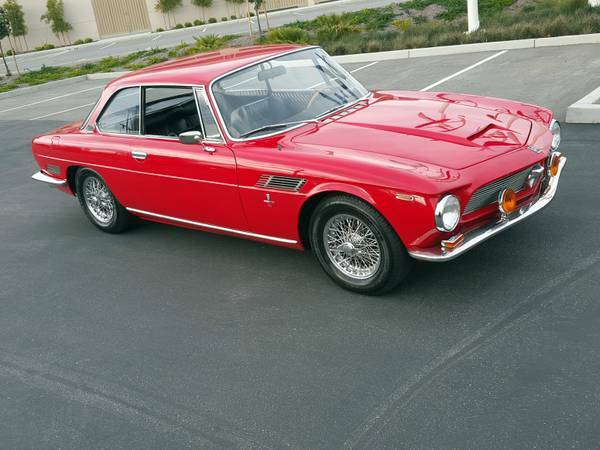 No much detail given by seller, you should go there to see it personally to ensure its a real Fulvia was there or not.